Ben Henry discusses baseball card collecting, the different types of baseball card collections, where to buy cards, and who collects vintage baseball cards. Located in Boston, Ben can be reached via his Baseball Card Blog, which is a member of our Hall of Fame. I started collecting in 1986. If you’re in Boston and you’re a baseball fan, the Red Sox may take over your life. They take over your life in a way that other teams don’t. With the Red Sox, I was so used to everything being terrible. They’d get your hopes up and then they crush your will to live. So collecting cards grew from that appreciation. It became an easy way for me to harness OCD and my love of baseball. I got cards as a Christmas present in 1986 when I was 7 and was immediately taken by it. Not only is it a small snapshot of history, but it’s this whole medium of terrible photography and really ugly people and horrible facial hair and really dumb names. I didn’t appreciate it like that when I was a little kid, but in a way I did subconsciously. It’s almost like you’re collecting photos of your neighbors, and you can sort them. It seemed like a natural fit. 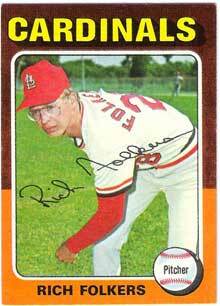 When you hit puberty, you stop and start thinking about other things, and then it’s not cool to do baseball cards in high school because you’re the oldest one in the room. It’s either you and a bunch of fifth graders or it’s you and a bunch of old guys. So in high school, you don’t do it, and then in college you think, “I’ve grown up and grown out of that.” When you get out of college, you realize that you have disposable income if you have a job and that you really still like all the stuff that you thought was cool. That’s the process that I went through. After college, I got back on it. I’d see cards and think, “Maybe I should buy a pack.” Then every time you go to the store, “Maybe I should just buy three more packs.” It’s like an addiction. It had been dormant for so long, but once you get back in there, you forget why you stopped. Then you remember high school, and admitting that you collect baseball cards, you’re pretty much the biggest nerd who ever lived. I’ve been writing in my blog since January of 2006, so almost three years. When I started writing, there was one card blog, but it wasn’t active. Nothing had been posted there in two or three years, so I saw it as a good opportunity, and then it took off. 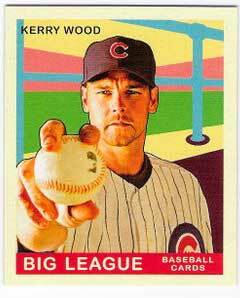 I don’t know how many card blogs there are now, but I would guess probably a hundred. That wasn’t the case when I started, but I’m glad it’s the case now. It’s cool. I update the blog maybe three times a month. There are some people who are totally prolific and update five times a day, but my brain doesn’t operate that quickly. I do the research behind it and write a whole thousand-word essay, so I need time to process everything. I try to go for quality over quantity; finding the right image, the right card, the right word. Collectors Weekly: Do they still sell baseball cards in stores? Henry: Yes, but it’s gotten expensive. Card companies target big-box stores like Wal-Mart and Kmart and Target to sell the cards, and a sizable percentage of card company business is sold through those stores. They’re always in the same spot. Let’s say you walk into a Target, and you have all the cashiers in front of you. If you turn to the left, there’s a little row right there. It’s the same at every store, so it must be on purpose. There are four or five different ways to get cards. One is to trade with your friends, which is always the preferred way because it promotes a sense of community and it’s fun. A second way is to buy stuff on Internet sites, like eBay, which generally keeps the cost down. The third is to go to a local card shop. Some do still exist around the country and there are a lot of good ones. That’s fun because you can stand there for hours and agonize over what you want to buy. The fourth way is to go to a regional show, an auditorium full of baseball card dealers who either have stores or go from show to show. The fifth way is to buy them at those big-box stores. That’s usually how a lot of people buy stuff in smaller towns, because you’re not necessarily going to have a dedicated store, but you’re going to have a Wal-Mart. Card shops sell all kinds of things. The card shop has always traditionally been the center of the card community, so it has to cater to all types of collectors. Certain collectors – and I’d like to count myself among them – buy individual cards from all different years, depending on what they’re looking for at a particular time. 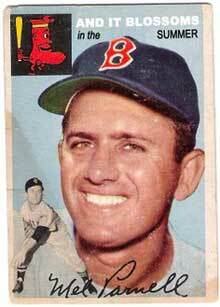 If I go to a card store in Boston, I’m probably looking for Red Sox cards from the 1960s, and hopefully that dealer will have stuff that I’m looking for. They also sell whole boxes of unopened packs, and that stuff is usually brand new. They make cards of all different things, like hockey, sports racing, football, scenes from High School Musical, Hello Kitty stickers, Cabbage Patch Kids, Magic: The Gathering, all this stuff. It’s usually a big jumble because they have to have something to appeal to everyone. Collectors Weekly: Do you collect vintage baseball cards only from certain teams? Henry: My collection got out of hand, so I had to take a step back and assess what I wanted to focus on. I started to focus on Red Sox cards made before 1975. It made it a lot easier because I wasn’t tempted to buy new stuff. It’s hard to pass up new stuff, but a lot of collectors go for a certain set from a certain year. Maybe they’re collecting this year’s new set, or maybe they’re trying to collect a set from the mid-‘80s. The genius of baseball cards is they can be collected in so many different ways. Maybe you only collect cards of people with your last name or cards of people who are wildly overweight or who had the worst moustache you’ve ever seen or the most awkward, unbearable last name or only players who are on the Giants or the Yankees or who have your birthday. It goes on forever. I was born in 1979 and started collecting in ’86, so there’s been a lot of stuff I never had or had the opportunity to have. Going back to those years before 1975 satisfied my interest in baseball history and also made it so I wasn’t collecting what everyone else my age was collecting. Also, I’m a big fan of U.S. history, so having cards with photos from the 1940s and the ‘50s and the artwork really means a lot to me. Baseball cards go back to 1886 or 1887. They were originally included as filler in the backs of cigarette packs like a promotion. Towards the 1930s, ‘40s, and ‘50s, they started to be sold as a featured product. In 1951, the Topps Chewing Gum Company, which makes Bazooka gum, started selling gum with cards. The gum was the highlight and the cards were the other thing. So you have this history of baseball cards as filler. It makes the pack sturdier because of the cardboard. As the century progressed, the cards became the highlight and whatever else they decided to include became the filler. For the most part, by about 1991, there wasn’t anything included. Collectors Weekly: Do most people collect sets or usually just card by card? Henry: Either way. Card companies make only a certain amount of cards a year, so they have a regular set. The big card companies are Topps and Upper Deck. There used to be one called Fleer that made Dubble bubblegum and Fleer baseball cards, and there was another one called Donruss. Each company made their own sets, and a set would be 600 or 800 different cards with an individual number on each one. If you went for the set, you had to get all the numbers that they created from 1 through 600, and you weren’t done until you completed it. You had a year to do it, because after the year ends, people are on to the new thing. You don’t want to be collecting last year’s thing. Collectors Weekly: Is Topps the most popular brand of cards to collect? Henry: I’ve always thought that if you looked in a hypothetical dictionary and you looked up the word baseball card, you would get a picture of a Topps baseball card. They really created the medium in the way that it exists now, whereas before, like I said, it was an extra promotional item that you got with your cigarettes. They transformed it, and they are the traditional top dog. Upper Deck, which is based in Carlsbad, California, is slowly creeping up behind Topps. I’m sure they make more money than Topps does, but they will never be synonymous with the word baseball card, not for the generation that’s currently between 20 and 50. As soon as the kids who are collecting now grow up to be between 20 and 50, they will probably think of Upper Deck more than they will of Topps. Baseball card collecting was in a bad spot maybe five or ten years ago. It’s getting better because of a number of things. The card companies are starting to realize that collectors want stuff that they can afford and that’s easy to collect, not over-the-top things. The card companies had been creating 30 different sets a year, and that was way too much. So they partnered with Major League Baseball and the other sports to determine what their licenses should be for the year and what kind of caps they could put on the number of different sets. It really helped going forward, because when you have less choice, you’re not completely overwhelmed, and it’s easier to find people to trade with if there are fewer sets. In the 1950s, over those 10 years, there was something like 6,000 total cards created by the major baseball card manufacturers. In the 1980s, it was about 32,000 cards. And it grew from there in the 1990s. It just kept getting bigger, so you almost had to ask who is collecting all this stuff. Why do you need 20 different cards of a guy in one set? Collectors Weekly: Do baseball card sets just have pictures of team members? Henry: That’s generally how it works. There are other things that they include. Some cards may be autographed. Another card may include a special toy or a special number. 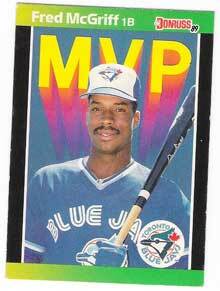 Other cards include little mini slices of bats and gloves and jerseys that the player has supposedly worn or used. A big problem right now in terms of new product from manufacturers is finding value and charging enough to cover the cost but also to make it worthwhile for the collector. Let’s say you buy a pack of cards for $2. The likelihood of you finding something that’s really special and outrageous is one in a million, but if you spend $100 on a pack – and that does exist – you have a much higher chance of getting something that is truly spectacular. There are collectors who do that. They pay a hundred dollars and they go for that chance at finding the one thing that the card companies announced all year, like a signature of a retired Hall of Fame player. Collectors Weekly: What makes a card rare? Henry: There are a number of things. 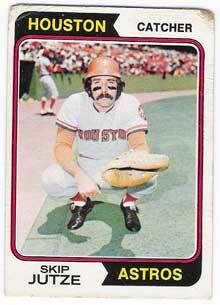 The first is that baseball cards prior to 1980 were not created to withstand the test of time. They were made out of cheap cardboard, and the manufacturers expected that you would put them in your bicycle spokes, flip them against the wall, tie them up with rubber bands, tape them into a scrapbook or on your wall, or put thumbtack holes in them. The cards that have had survived in decent condition command a premium because collectors want them pristine. They don’t want it touched by human hands, and the likelihood of that coming about is very slim. So it’s not that the cards themselves are rare; it’s that the condition creates a rarity. There are also cards that have been created in limited quantities in the last 10 or 15 years that are rare because of the limitations of the press run. There are some really famous examples of actual rarity, such as the Honus Wagner card from 1911. That was issued as part of the American Tobacco Relief. The card catalog is T-206. It’s supposedly rare because Honus Wagner was against smoking and therefore did not approve of having his card within a set of tobacco cards. Actually, he was under contract with another company, and that company said, “You can’t use this player because we already have him.” It was a copyright issue. That card is very rare. There are probably 50 to 100 of them that exist today. In 1952, Topps made their first full set of cards and they released it in a series. They released the first series at the beginning of the season, the second series in the middle of the season, and then they had an end series that they were probably going to release in September to coincide with the end of the season. It was going to include rookies and players that they forgot. 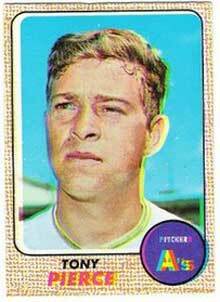 One of the big players included was Mickey Mantle, who is a Hall of Fame Yankee center fielder. That series was released in limited quantity because nobody cared. It was the end of the season and kids had already moved on to football. Some of them were released into the public, but most of them were put on a barge and sent out into New York harbor and dumped. So that Mickey Mantle card can command a premium. Collectors Weekly: Do vintage baseball card collectors typically get their cards graded? Henry: Yes. It’s growing to be part of collecting. It’s a touch point for a lot of people. If you send the card in to a grading service, they assign a value to it on a scale of 1 to 100. If you send something in with dinged up corners and a scratch across the front, they’ll probably give it a grade of 20, and that’s pretty bad. If you send something in that’s really in fantastic shape, they might give it between 80 and 100. There are a number of reasons why you would have something graded. One is for insurance purposes, because they actually assign a value to something you have. Another is because once it’s graded, it’s not touched by human hands again, so its grade doesn’t change. They put it in an airtight clear plastic holder. The third reason is, in terms of buying and selling things in the secondary market, it helps to have a third party assess the condition and value. It’s like getting your antiques appraised. Of course, it costs an arm and a leg. So it’s not for all collectors. It’s more appropriate for people who collect certain rarities or really old things and who want to have something at a premium. To have it assigned a condition that’s great is really a validation of their effort. I don’t generally have my cards graded, but I’m actually right now having one thing graded, though; the first thing ever. I’ve had these pinback things from 1910 in a box for years, and so I took them into a dealer in Kenmore Square in Boston and asked him his opinion, because I’m scared that they will rust if I take them out of the box, but I’d like to display them. So I’m getting those graded so that they will encase it and I can display it. Collectors Weekly: Where do you keep your baseball cards? Henry: Boxes and boxes. When you open the closet, you’re like, “yes, that’s right. I collect baseball cards.” No shirts are in my closet; it takes up a lot of space. When I started again in 2006, I think I had 160,000 cards, and now I probably have around 200,000 cards. They’re very small. When you pile them up in boxes, the boxes take up space, but you don’t think about what’s inside the boxes. You don’t see it, and therefore it doesn’t exist. Collectors Weekly: There were posts about mis-cuts and blanks on your blog. Do you come across them often or are they pretty rare? Henry: You’ve got to wonder, who in their right mind is on quality control at the printing plant and just getting drunk on their shift? It’s like, “Yes, I don’t care. I’ll just send them out.” That’s awesome. I don’t really come across them often. They’re more likely in certain years. For some reason, they had a big problem matching the fronts and the backs in 1976. The front might be a Jim Rice, but the back is of Steve Carlton or someone else. Other years had problems with having blank fronts or backs. Some collectors have showed me cards that have a baseball front and a football card on the back. Collectors Weekly: Who generally collects baseball cards? Henry: A lot of people. It’s mostly guys. When I close my eyes and think about a baseball card collector, it’s either a little kid or a guy with horrible facial hair, but that’s not true. More likely, it’s just normal people. It helps if you’re a sports fan. But it’s really just normal people of all different ages. I set up a Facebook fan page for my website. It has 151 fans so far, but only nine of them are women. I can’t use that as an accurate population in making a generalization, but it seems like that would probably be the case if you made it a thousand people; you’d have 90 women. Collectors Weekly: What are some of your favorite baseball cards? 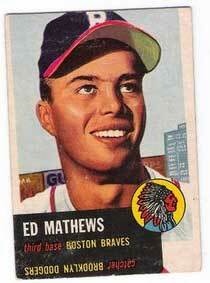 Henry: There’s a Topps card from 1953 of a player on the Boston Braves named Ed Mathews. That’s always been one of my favorite cards because it self reflexes and it’s entirely optimistic in a weird propaganda way and it’s really great artwork. In 1953, Topps took photos and made a painting from the photo and used the painting on the card. So the painting is this guy, Ed Matthews, looking up into the upper right-hand corner with a smile on his face and a perfect blue sky. Behind him is the outfield fence and one of the ads on the fence is for Topps gum, which is probably not true in real life but it makes sense because it’s a Topps card, and for me it sums up the years directly after World War II for America. Everybody’s getting laid. Everybody’s got a job. Everyone’s going back to school. Life looks pretty good, even though Russia could blow us up at any minute. It’s just a perfect piece of baseball propaganda. That has generally always been my favorite card. Another favorite is that in 1985 Topps made a card of Eddie Murray who used to play for the Baltimore Orioles, and his card is crazy because he looks like a psycho killer. His hair is a gigantic afro, but from his afro down to his sideburn becomes his moustache. It’s a thing to behold. I think I have it on my blog somewhere. It’s like, how did you even come up with that? It’s great. So I really have to say that those are my two favorites. Collectors Weekly: So it isn’t always photographs on the cards? Henry: No. For the most part, it was paintings taken from photographs. From 1887 to about 1914 or 1915, there’d be a cabinet photo taken, like a daguerreotype or something, and then a painting would be made from that. 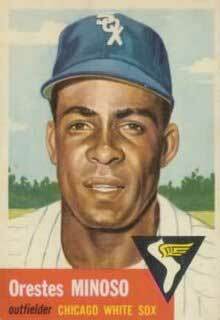 There were some cards that would have straight photos, but photographs didn’t really make it onto mainstream Topps brand cards until about 1954, and the aided photo paintings really stopped in 1957. From ’57 on, it was all Kodachrome photos. Collectors Weekly: What are the Taos of Fred McGriff? Henry: He was always my favorite player for no apparent reason, and I started writing about that. I was going to call it “99 Days With Fred McGriff,” but then I figured out that I don’t have 99 things to say. 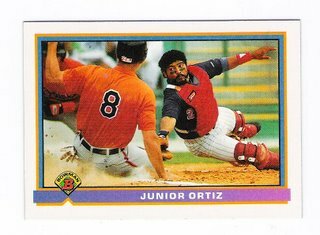 I started calling it the Taos of Fred McGriff because it’s this way of approaching card collecting and this guy in particular. It’s like life through the guise of Fred McGriff because he’s just this random guy who was a really good player but not good enough to be a shoo-in to the Hall of Fame and not good enough to be a national star but just a regional star. So he’s not a household name and he has a crazy nickname that makes no sense. He’s totally underrated, but then if you talk to people who know baseball, they’d say he’s wildly overrated. So he’s this weird catchall, and I can identify with that. To live your life with underratedness as one of your qualities is cool. It’s like extending a sports metaphor to the rest of world. McGriff’s nickname is Crime Dog. It’s a lame nickname. His name is McGriff, so McGruff, and he became the Crime Dog. Baseball nicknames through the ages have always either had to do with the way someone looked, the way they fielded a ball, or a weird nickname that they brought with them from their family life. There was a player named Three Finger Brown because he actually only had three fingers on one hand. After about 1985, nicknames had less to do with the actual appearance or the upbringing of the player than with a branded or marketable thing like Crime Dog. It makes no sense, and it has nothing to do with the way he played. It has nothing to do with the way he looked. It has everything to do with the name that some sportscaster said sounded like the Crime Dog. So the whole idea of a nickname became something more like a brand than an unfortunate characteristic of the person. Collectors Weekly: Have you noticed any major trends in baseball card collecting? Henry: It’s grown towards more high-end stuff with the introduction of grading, autographed cards, and little pieces of gloves and stuff within the card. It’s really priced a lot of the people out of collecting newer things and higher quality, older things. So for a collector like me, I like to go for things that are cheap. That’s the part that I enjoy. I like finding a bargain. It’s not so much fun for me to go and look for the highest quality of something. A lot of collectors don’t care about mis-cuts. They throw those away. So a lot of it has moved. The trend is going back to finding value for collectors. A lot of collectors, if they spend $50, they want to get $50 in value. That’s an acceptable exchange rate for them, especially if they’re buying unopened packs. They want there to be a guarantee that if I spend $50, I will have found $50 or more of value for what I’ve spent. I guess that’s probably the overall trend for stuff. Collectors Weekly: Any advice for somebody just starting to collect baseball cards? Henry: I’d tell them to not be intimidated by what other people think, and that they should collect what they want to collect. So if they really like the Yankees, they should collect the Yankees even if they live in Omaha. Just become as knowledgeable about it as you can because there is always someone out there trying to rip you off. If you know as much about what it is you want to collect before you go and buy stuff, you’ll be in a much better position, and the dealer will fear whomever it is they’re dealing with. They’ll see you know something about what you want, so they won’t rip you off. I have a game from the 1920’s; Major League Ball – The Indoor Game Supreme. I have the gameboard, game cards, game instructions and all 16 teams including Ruth & Gehrig. I’m having trouble finding out what the true value would be – have you seen anything like this in the market? Any idea as to it’s value? Let me know if you need more information and I can send you a complete listing of all players and teams. Any information you can give me would be greatly appreciated. The best bet on collecting, which came from my sister-in-law, is to ‘focus.’ Focus can mean a player, a team, a year, a brand, etc. I started collecting nearly ten years ago and this advice is invaluable. I only collect Topps Red Sox cards from 1952 (to current) and while I see other great cards of other brands, I don’t deviate. I also created an inventory of my cards in Excel which keeps me from buying duplicates. For me, 2004 is the year and I am always looking for numbered parallel cards. This approach has let me build sets, learn the players and stats and amass not only a substantial and rare collection, but a historical time capsule of significance. I have also never lost interest which is the biggest problem, as I can focus on finding the few cards I am missing. In those years, I have found 4700 unique cards. If you want advice, you can contact me at redsoxfanz4@yahoo.com. Good luck and don’t forget to have fun!! i recently found about 30 packs of topps from 1989-91 that were never opened. do i open them? I have an old 1927 leather bound small baseball schedule from the leaque president, Mr. John Heydler. can you let me know what you think it is worth. It is in excellent shape. My grandfather played for the Milwaukee Brewers in 1938 and 1940. What are the chances of him having a card and/or finding it?